Creating a fantasy sandscape has never been easier! This Kinetic Sand Box Set includes 1-pound of Kinetic Sand, animal and structure molds, and a large play surface. The possibilities are endless and the best part of all, you don't have to worry about clean up. 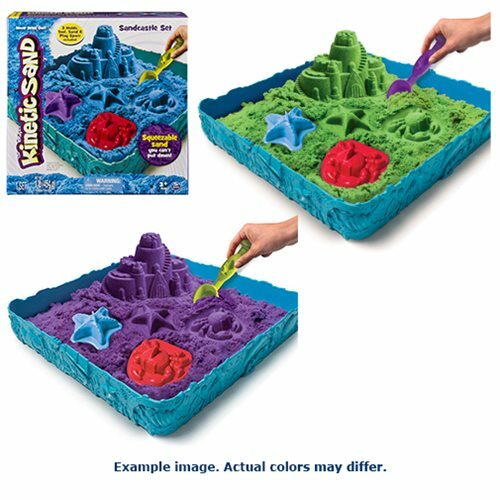 Discover the squeezable sand where you can feel the fun with Kinetic Sand Sand Box Set! Color of sand and molds may vary.